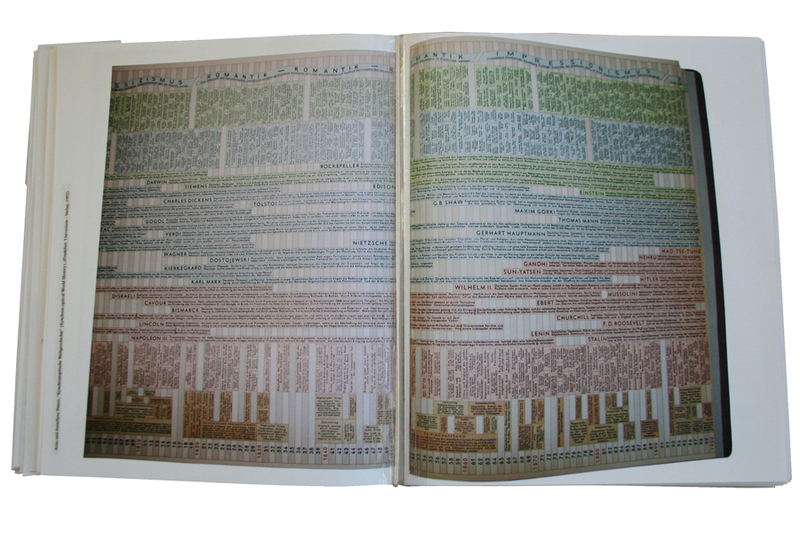 The artist book Synchronoptische Weltgeschichte (2010) is part of the same project as ‘Variations of Max.’ The book takes the form of a scrap-book of collected material where documents, images, newspaper clippings and excerpts from books are cut and paste into collages telling different intermingled and juxtaposed stories. 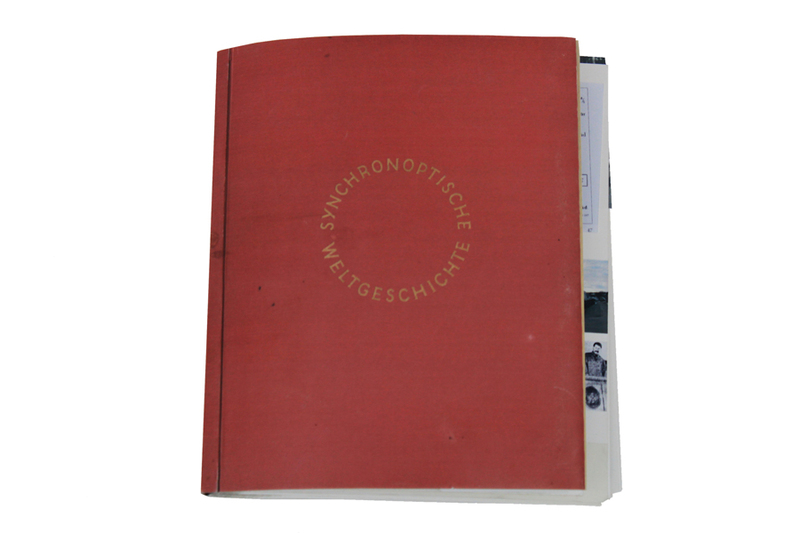 The original book ‘Synchronoptische Weltgeschichte’ (synchronoptical world history) is consistently used as a reference throughout the book. 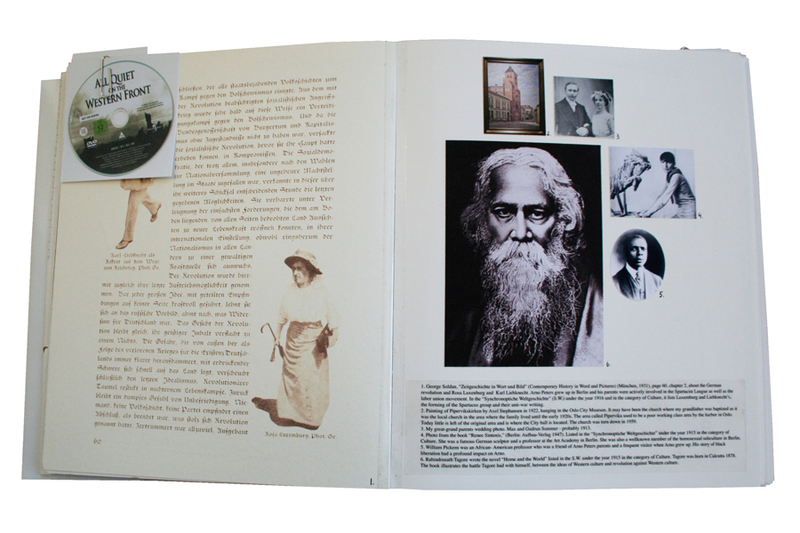 Notes in the form of footnotes explains and weaves together the parallel tales of family history, the history book and its author.